Improvised standards of domestic hygiene is essential to the achievement of a higher standard of living. 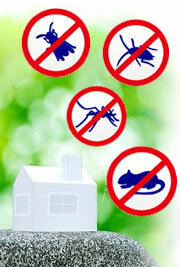 By maintaining dwellings in good order, pests can be largely excluded. Scrupulous hygiene deprives them of food and harborages and prevents them from proliferating. Hence, the health and economic importance of pest control services, whether it is in your home or working environment is highly appreciated. Innovative pest management technique control / manage all known pests. 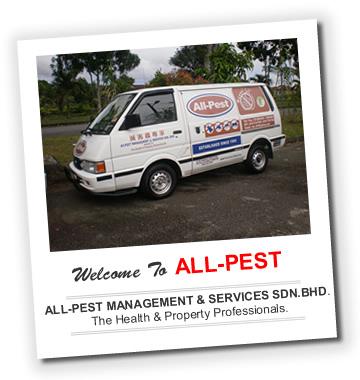 ALL-PEST MANAGEMENT & SERVICES SDN.BHD. The Health & Property Professionals. A member of the National Pest Control Association of America and Malaysia provides an entire range of pest control / fumigation and corrective / soil treatment services. Pest management cannot be one-off service simply because pest infestations are not one-off occurrences. We never stop st the first service. We always make it a point to conduct follow-ups. We shall be most pleased to hear from you and would thank you in anticipation of your support.